Whatever the form before the (mental) eye in the moment of death, it is that same form in which the next birth comes. But he who has surrendered humbly at the feet of God, has no rebirth. And it is for this reason that devotees were encouraged to cultivate the habit of ceaselessly Chanting the name. 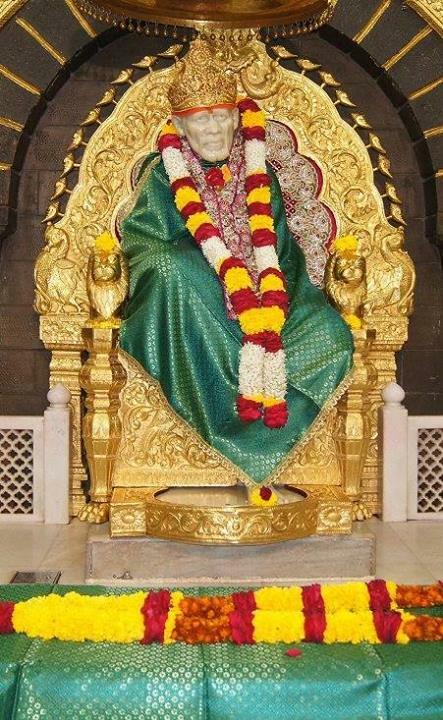 Some devotees were washing Baba's feet; taking the Holy water from Baba's toe - in a spoon, some were drinking it while others applied it to their eyes. When remembered lovingly, He comes to our rescue in the time of trouble. "From tomorrow, begin a real study of Bhagavat. Complete three "saptahas' of that book, earnestly with your thought, action and speech. "God will then be pleased and will put an end to all your sorrows; Maya, temptations will be calmed down and you will enjoy true happiness. "Listen to my words with an alert mind. Do not be riddled with doubts."